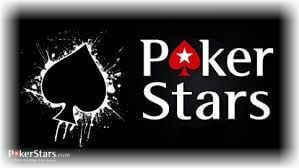 PokerStars is known for its fun events and poker tournaments. Keeping in line with this, people at PokerStars have come out with a new game for fans, which allows players to test their poker IQ. The game is called ‘Natural Born Poker Player’ and it is available for free. The game consists of short films that are based on different themes. These themes or categories are bluffing, logic, bravery, quick thinking, cool-headed and detection. Players need to guess the hero’s action in the story. Each game lets players test their Poker IQ based on three categories. The facet or category where players score highest is their natural style of playing poker – thus the name of the game. As of now PokerStars has made available three such games. One is called ‘The Chase’ and it tests players for facets like their cool headedness, quick thinking and bravery. ‘The Khazi’ tests for logic, quick thinking and detection. ‘The Poisoner’ is for bluffing, detection and bravery. The next three games in production are ‘The Date’, ‘The Deal’ and ‘The Judge’. Playing the game is easy. The website for the game is live and players need to just select a game to play from there. Players don’t need to open a PokerStars account to play the Poker IQ game. Once players are done with three games, they receive a Poker IQ. There is also an option to link the games with players’ Facebook account. This helps players keep track of their game progression. Players can also play the game a bit differently by using the poker playroom. Once here, they can select one aspect of the game based on their Poker IQ and decide the actions of the hero based on it for different poker situations. It really seems like a fun offering from PokerStars.